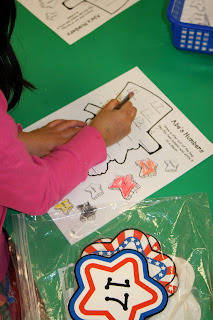 This week we had so much fun learning about presidents and our country with Mrs. B., our student teacher. I'm so proud of her! She has done a great job with the kids and they absolutely love her. Below are some pics of us in action and some are not action shots b/c I forgot to snap the pictures. Enjoy! We are learning to recognize coins and their value. This game is helping us learn just that. I made this little odd/even game a couple of years ago and my kids like it so much I've made several more since then. They just roll the number cube. Next, they count out the pennies alternating between presidents. Last, they have to decide if it's odd or even depending on if they have the same amount of pennies or not. Practicing our addition skills with pennies. 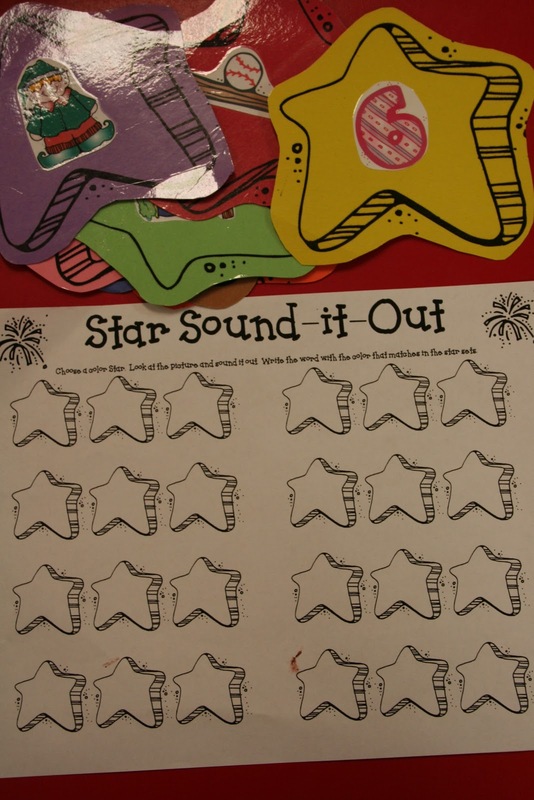 Stamping the middle vowel sounds for the pictures. Mrs. B. let us "play" on our ActivBoard learning about money and coins. 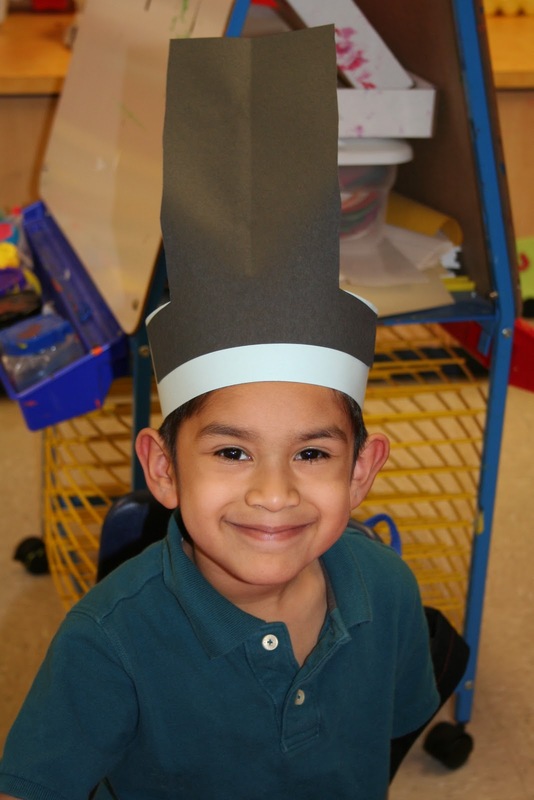 Here is an example of our Abe Lincoln hats. 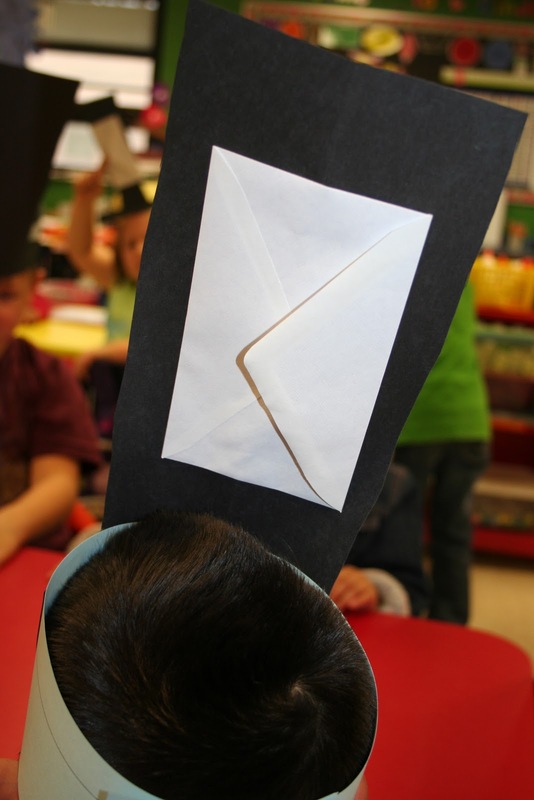 On the back is an envelope where each student got to put an important piece of paper in it just like Abe did with his hat. 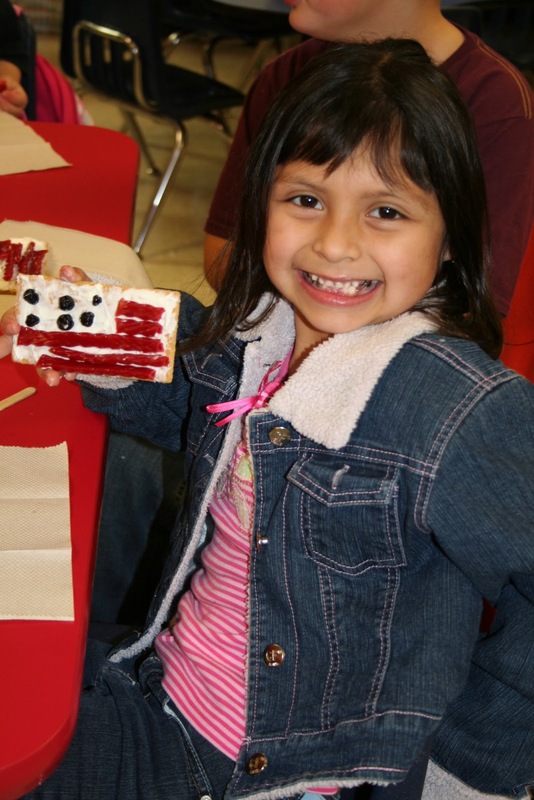 Mrs. B. let us make American Flags with graham crackers, icing, twizzlers, and blueberries. Thanks to Bailee's mom for providing the snack items! Cute ideas! do you have your center pages posted anywhere?? I'd love to get a copy! Can you tell me which DjInkers clipart set that most of the president games are made? I would like to have use the Abe and George. THANKS! 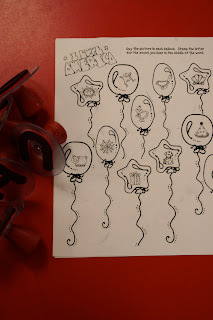 I love the activities you are using with your kiddos! I would love a copy to use for my Money unit!!! Great activities! I would love to get a copy! Thanks!!! Great ideas, as usual. If you don't mind, Id love to get copies of whatever you are willing to share. I would like copies too! I would love copies too! Awesome ideas! These ideas are great! I love the snack they made!! The smartboard idea is great, too! I would love these as well if you're going to share. i really loved your gingerbread man unit you shared. Thanks! You are AMAZING! Such great activities! I love your activities! I would love a copy of anything you're willing to share. I know my kiddies would enjoy them too! I realized I forgot to add my email address: roden26@gmail.com. I would love a copy if you don't mind!!! your centers are awesome!! thanks!! I would love a copy of your president printables! They are soo cute! Gotta love Dj inkers! Thanks for sharing! ooh, can I also have copies of your president activities? Too cute. Thank you! My America/President unit is one of my favorite. I'd love to add some of these to it! Thanks! 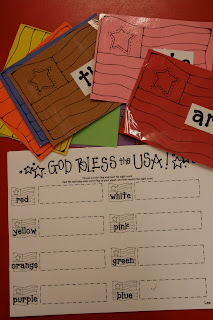 We are beginning our money unit in two weeks, and I would also love to have these ideas for my President's file. Oooooh! I just found something else I love! May I also have a copy of this unit, PLEASE? LOVE your presidents day unit! If you are still sharing, I would love a copy. Thanks! I am subbing and would love to get copies! Could I possibly get a copy of your president's day unit? I would LOVE to use it this month! 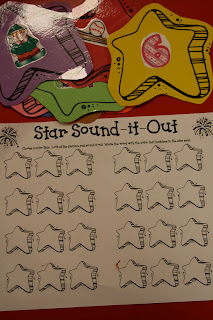 These activities look great and I would love to us them for our workshop stations. Can I get a copy of your presidents day unit? I love all of these ideas! Are you selling this unit or sharing a copy of it? I would love to get the unit. Your ideas are FABULOUS! Are you sharing your printables for your Presidents activities? 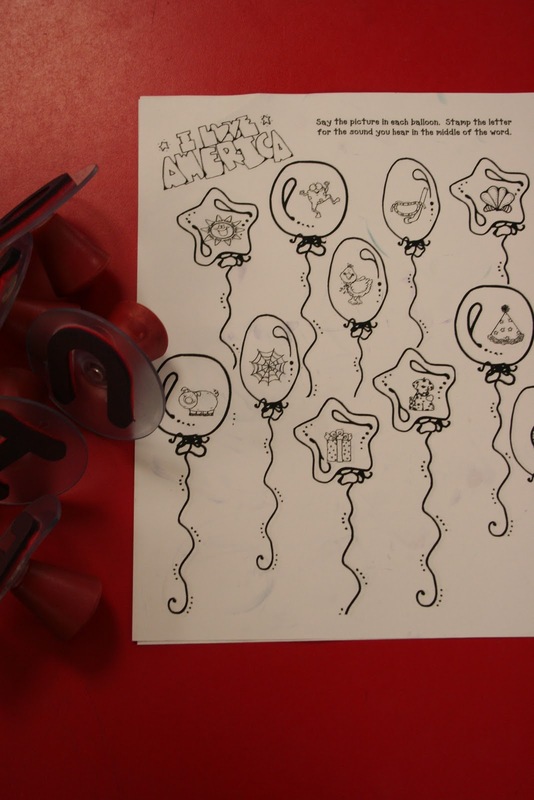 I was searching for some fun things to do with my Kinder-beans and I would love to try out your great ideas! Love the presidents activities and would love to try them out. Are you selling or sharing these activities?? thanks for your amazing ideas! I too am astounded by your creativity. May I get a copy of this unit? Let me know if I can pay for it.